Orlando is home to three major amusement park resorts. Disney World Resort has four separate theme parks and two water parks in addition to a multitude of other attractions and amenities. Universal Orlando Resort also has two theme parks and plenty of other attractions such as Blue Man Group and Hard Rock Live. Whether you decide to go hot air ballooning, take an airboat ride in the Everglades, or visit Gatorland with its many attractions (including zip lining), you'll enjoy every outdoor opportunity you choose. This is just the tip of the iceberg of outdoor adventures available in Orlando. If amusement parks and outdoor adventure isn't enough, Orlando also has a seemingly endless list of attractions including Ripley's Believe it or Not, LaNouba by Cirque Du Soleil, the Kennedy Space Center Visitor Complex, AirHeads Trampoline Arena, and the Chocolate Kingdom. If money isn't an object and thrill is what you seek, check out Exotic Drives at Disney World Speedway for the opportunity to drive the highest end luxury sports cars available. Orlando is a hub of culture in every way. Whether you enjoy performing arts, museums, or just the experience of international diversity, you'll find what you're looking for in Orlando. Orlando is home to the Dr. Phillips Center for Performing Arts, The Center for Contemporary Dance, The Winter Park Playhouse, Orlando Shakespeare Theater, Orlando Philharmonic Orchestra, as well as other museums, historical sites, and cultural attractions. When looking for a senior trip destination, practical considerations should be easy and stress-free. Orlando's International Airport makes it easy to reach from any location. The long history of tourism has helped Orlando develop plenty of clean and comfortable accommodations in any price range. 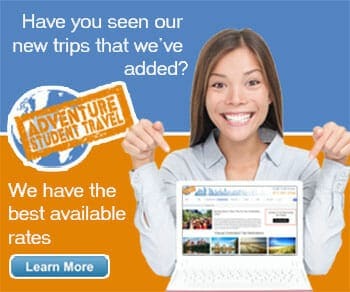 Furthermore, food and transportation are readily available and more than adequate in Orlando. 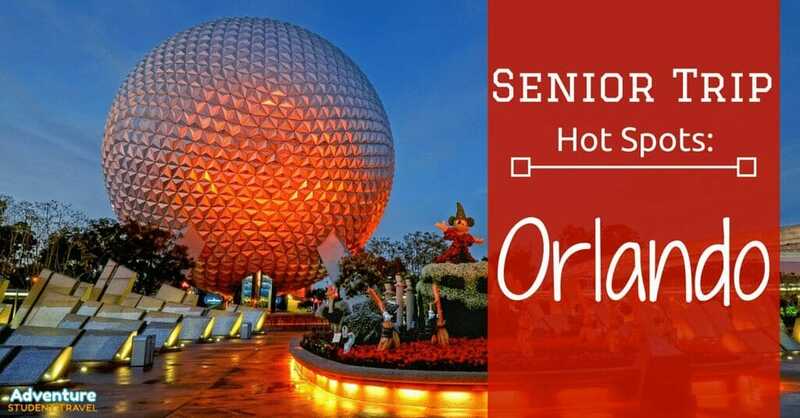 Even though we only listed five reasons to take your student travel group to Orlando on a senior trip, there are many, many more. There is something for everyone, every day in Orlando. Even if you go, again and again, you'll never get bored with all Orlando has to offer.